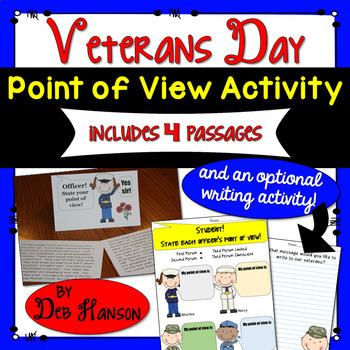 This resource contains a unique activity for your students to do on Veterans Day. 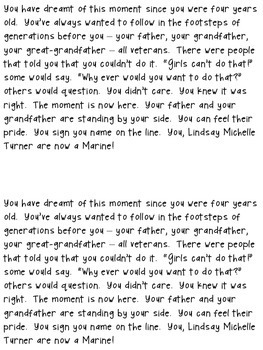 Included are four passages, each giving the appearance of being written by a veteran, in a different point of view. 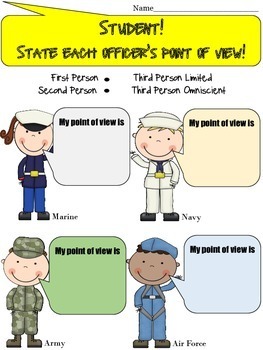 Students will read each passage and then practice the skill of identifying the author's point of view independently. One passage is written in first person, one is written in second person, one is written in third person limited, and one is written in third person omniscient. Also included are detailed notes explaining an optional activity for using this resource. Table tents and passages will be placed at four different "stations" in your classroom, and students will make their way through all four stations, determining the point of view of the passage they read at each station. This resource also includes a recording sheet and an optional page for students to write their own message to our honored American veterans. 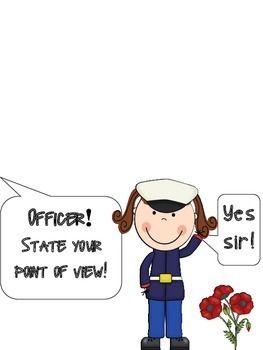 I also have a Veterans Day Reader's Theater resource!